One of the adventure’s that has peaked the interest of our shipping team is road trips. Not just to a neighboring town, of course not. From a mix of avid motorcyclist and drivers alike we have heard of a road trip across America. This trip sounds so exciting, with stops at city limit signs and state parks, there’s so much of America that needs to be seen! Secure Auto Shipping can help on your adventure, and this the method we’ve come to terms with. As you start this adventure of a lifetime, you have likely planned out your route, including all of the places you’ll visit and the establishment’s you’ll rest at. One of the road trip routes that we hear frequently is along the coast of California. The individual traveling will contact us, have their motorcycle or vehicle transported to their starting destination and will usually fly to the location. From there they will drive or ride down the coast enjoying the scenery and parks. We love this idea! What better way to enjoy a road trip than never having to drive back to where you started. This allows more days for you to go and venture in places you have, or haven’t seen! With the help of Secure Auto Shipping, you can have the opportunity to take a road trip visiting some of America’s greatest sites. The idea may have peaked your interest, but there’s a chance you’ve never shipped your vehicle and are nervous. Don’t worry. 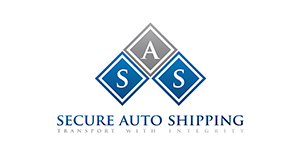 Secure Auto Shipping has worked with hundreds of cars, motorcycles, boats and more. We transport vehicles across the nation every single day. Our team is professional, trained, insured, licensed and bonded so that you can feel comfortable trusting your valuable vehicle with us. We will pick the vehicle up from the starting location and drop if off wherever you tell us to. You don’t have to worry about scratches, rocks, or any other type of damage. We insure your car so that you can feel comfortable knowing it’ll arrive just as it left. If you’re officially thinking that this is the next trip you’ll be headed on, glance over the different types of shipping and transport services that we offer and find one that suits your comfort level with transports. Contact our office and tell us which of the shipping services you’re interested in and what type of vehicle you’re looking to ship and we will provide you with a speedy and simple quote. Your adventure’s calling, schedule your car or motorcycle transport today!